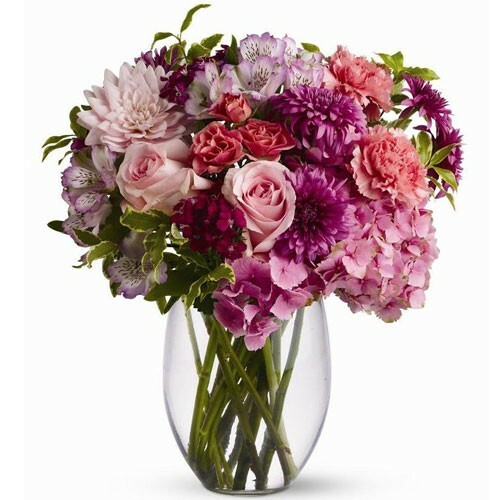 A mix of fresh flowers such as roses, dahlias and hydrangea in shades of pink and lavender. Comes in a clear glass vase. Quantities A mix of roses, dahlias and hydrangea in shades of pink and lavender. Comes in a clear glass vase.